The John R. Wood network extends across all of Southwest Florida, so you are certain to have access to our expertise no matter which area you choose. Our Fort Myers realtors are well acquainted with the local real estate market because they are also residents & share the Southwest Florida lifestyle. We are uniquely equipped to help you find your perfect home. Our experience in the area benefits property owners looking to sell a condo or house and are dedicated to making sure your property is viewed by the right buyers. Our online real estate listings are easy to navigate & full of useful information about each listing. Buyers can view photos, text, maps, & data about your property that will present it in the best possible way. For sellers, we offer a Comparative Market Analysis to give you an overview of the area informed by our unique expertise. 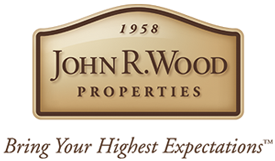 John R. Wood Properties is committed to give you the best possible advantage whether you are buying or selling Southwest Florida real estate. Contact one of our expert Realtors or request a free catalog to see how the John R. Wood team can make your real estate experience the best it can be. admin • ©2019 All Rights Reserved • Real Estate Website Design by IDXCentral.com • Online Marketing by Internet Marketing Logic, Inc.